gallamore west: Origami Owl Giveaway! Congratulations to our winner, Tori Lent!! I'm so excited about this giveaway from Origami Owl! 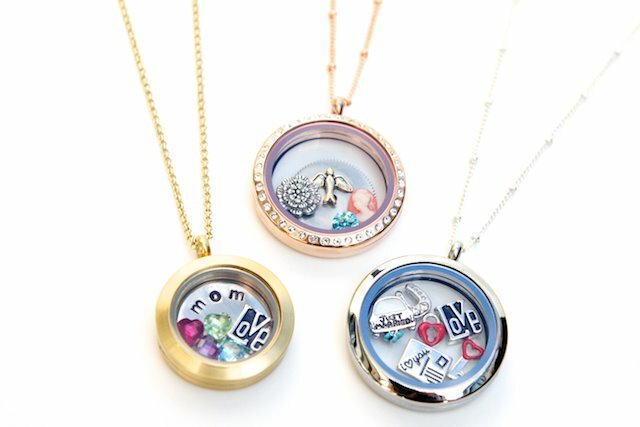 Have you heard of Origami Owl yet? I only host giveaways occasionally because it has to be something that I love. 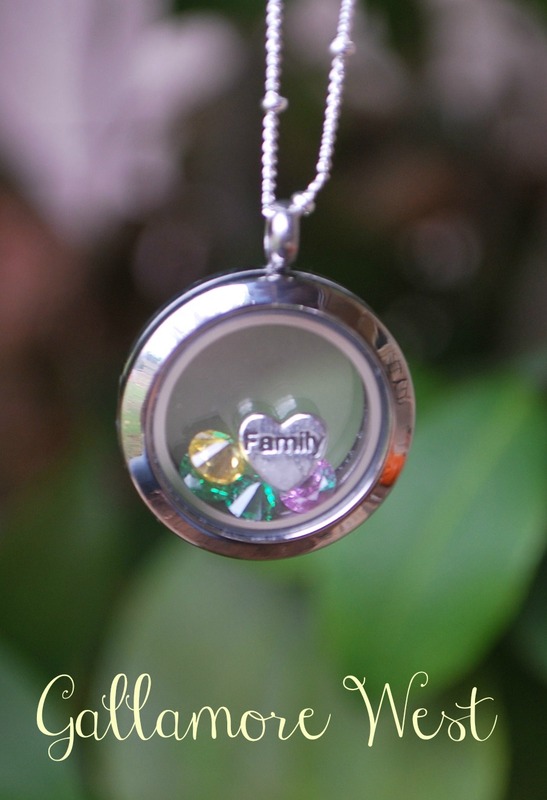 And I LOVE Origami Owl Living Lockets. And now thanks to my friend Breanne, you have the chance to win a customizable medium-sized locket with 4 charms of your choice! Your final product will be a truly one of a kind, personalized piece of jewelry to treasure! And lucky, lucky mail... I got the most adorable happy mail from Breanne yesterday! Here's my own Origami Owl Living Locket with my four sons birthstones. Thank you, Breanne! Ahh!! I would get the CTR shield, my kids' initials (K and R) AANNNDDD the infinity charm. YAY!! More chance to win, love it!! Oops, I forgot my list: Baby boy heart w/foot prints, infinity loop, chocolate bar, "faith" stone. November Birthstone, September Birthstone, football and the initial 'M' for the University of Michigan football!! September birthstone girl for both my girls, p initial for the day I got married, sea turtle for my love of scuba diving, and the apple for my love of being a teacher! What fun charms! I love the cat, scissors, pink puffy heart, and chocolate bar! Hey Laurie! I have bought from Origami Owl in the Chandler mall here, aren't they a local AZ company? I thought that was what the salesperson had told us. They sell (or use to anyway) cute, super soft, little blankies with all the tags on them that babies' love! That's what we bought from them. Ok, so I just looked at the whole website, and there were no such blankies. They were at the kiosk though along with the Origami Owl necklaces and charms though, I promise! Such a cute and fun giveaway. Thanks for the chance to win. I would choose the owl, silver cross, #5 and the vintage flower! Woo hoo, maybe it will be me! I would pick the tea cup, cupcake, cat and starfish.